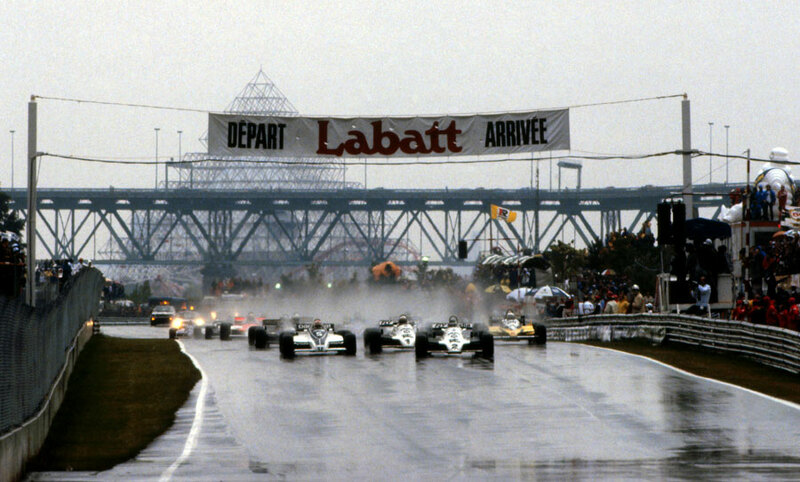 Jacques Laffite's second win of the year in the penultimate race in Canada set up a tense finish to the season, sending the Formula One circus to Caesar's Palace with three drivers in the hunt for the title - Carlos Reutemann on 49 points, Nelson Piquet on 48, and Laffite on 43. The teams arrived in Canada digesting the announcement the previous week that Alan Jones, the reigning champion, had decided to quit at the end of the season. The timing of the news was strange in that he came into the weekend with a chance, albeit an outside one, of retaining his title. His team-mate - and bitter rival - Carlos Reutemann wasted no time in re-signing for Williams and could have secured the title himself with a win at Ile Notre-Dame Circuit. Piquet, his closest challenger, pulled out all the stops to take pole from Reutemann, but the start of the race was delayed for an hour over confusion surrounding insurance for drivers and team personnel. The morning practice had been put back three hours for the same reason. While that dispute was being settled the rain fell, leaving the track soaked for the start and teams furiously trying to work out the best tyre strategy. Jones, who started on the second row, took the lead from Piquet and Reutemann when the race finally started but he was eventually forced to retire when a series of spins convinced him his tyres were unable to cope with the conditions. Reutemann, on the same tyres, adopted a more cautious approach, but that dropped him right back to 18th place by lap eight and he eventually finished well out of the points. On the opening lap the Ferraris of Gilles Villeneuve and Didier Pironi did a pincer move on Rene Arnoux who went grass-cutting and bounced into the barriers. Jones' retirement gave Piquet the lead but he too struggled with the conditions and a spin left him back in fifth, but the two points he collected were vital. Laffite was left to benefit from the mayhem, and even a late spin of his own was not enough to rob him of victory. John Watson paddled home second with Villeneuve third. Villeneuve kept the partisan home support happy with a typically idiosyncratic drive, the nose cone of his Ferrari hanging loose for several laps before it finally flew off near the end.